Tucson, AZ, WPH Press, 4/22/18- The third weekend in April featured two marquee events, as Atlanta played host to the prestigious USHA Southeast Regionals and Minneapolis played host to the Minnesota State Handball Championships. E4 Design proudly hosted the USHA Southeast Regionals at the Atlanta’s home to the Race 4 Eight at the Recreation Atlanta, with the Men’s Open singles featuring top six R48 pros Sean Lenning, Daniel Cordova, and defending Southeast Regional champion Luis Cordova, as well as rising R48 star Max Langmack, University of Texas handball ambassador Nate Frank, and a number of talented young stars in the open draw. The Women’s Singles field featured collegiate stars Kristen Hughes and Taylor Rumping. Defending men’s champion and R48 #6 Luis Cordova survived a scare from R48 #20 Max Langmack in the semifinal, ousting “The Gentle Giant” in a razor thin second game to advance to the final. R48 NYAC ’18 finalist Daniel Cordova continued his stellar play just one week after advancing to his first R48 final, ousting R48 #2 Sean Lenning in the bottom bracket semifinal. “Danos” dropped game one but turned the tables on “The Thrill,” outscoring Lenning 32-16 in the second and third games. Lucho and Danos met for the second consecutive year in the Southeast Regional final, with Lucho defeating his younger brother in a tiebreaker in last year’s final. 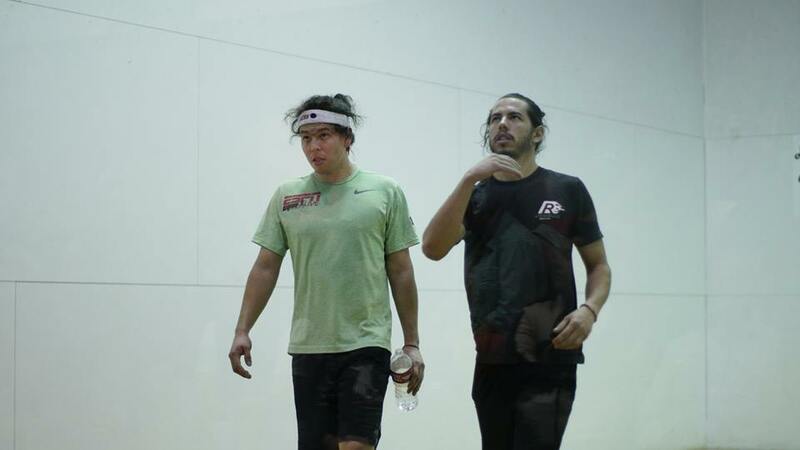 Danos won the last encounter with his older brother, snatching the fifth place final in a heated encounter at the R48 Houston ’18 in the middle of March. 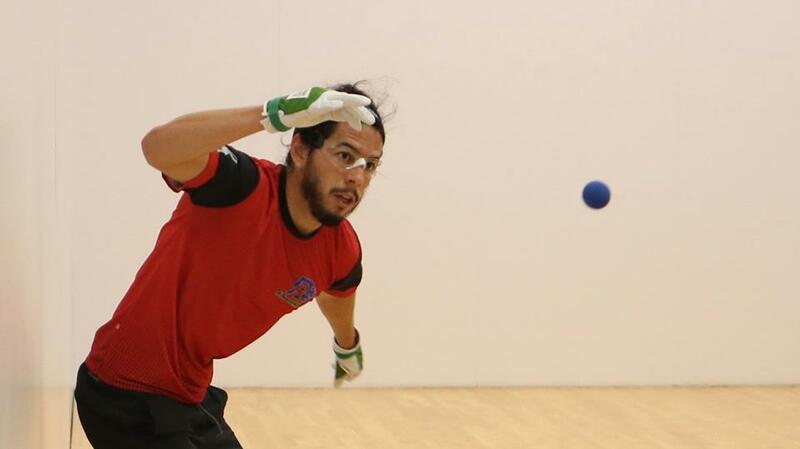 Danos continued his tremendous form from the R48 NYAC last weekend, overwhelming Lucho in game one, 21-7. Lucho started quickly in game two, building an 8-0 lead but Danos climbed back, eventually tying the score at 12. The pair went back and forth for the next 30 minutes, trading points and side outs with sensational 30+ shot rallies. Danos found another gear at 17-all, hitting two missile kills and a crisp v-pass to arrive at match point, 20-17. Lucho earned a side out, but Danos quickly regained the serve and closed out the match on his second attempt, taking the Southeast Regional title, 21-7, 21-17. The University of Texas’ Kristen Hughes battled Missouri State’s Taylor Rumping in the final of the Women’s Southeast Regional singles. Hughes and Rumping had split their previous two matches this year, with Hughes winning at the George Lee in January and Rumping winning at the Collegiate Nationals in February. Rumping took game one by controlling the front court and neutralizing Hughes’ power. “I made the mistake of using power and going for a lot of kills in the first game, which plays into Taylor’s strengths,” stated Hughes. Hughes changed her strategy in game two, forcing a tiebreaker by using an overhand z-serve and ceiling shots. Hughes carried her game two momentum in game three, taking the match and the title. “My power z-serve was super on, which helped a lot,” stated Hughes. 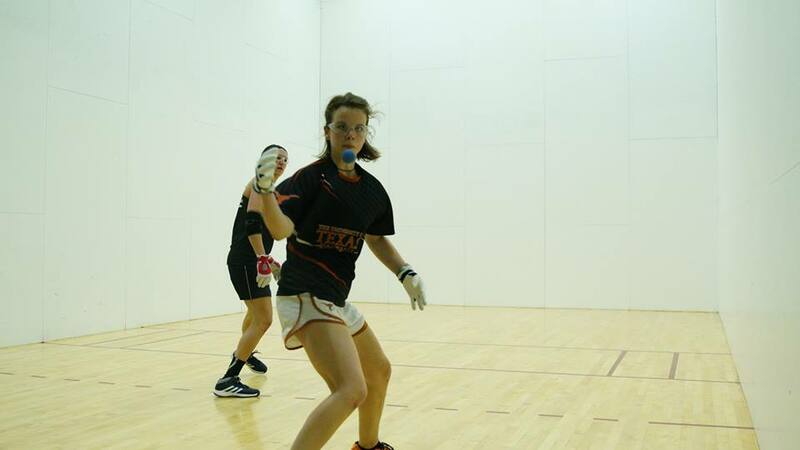 The spectacular University of Minnesota Recreational and Wellness Center served as the venue for the Minnesota State Handball Championships, featuring 85 players competing in various skill and age division brackets. The Men’s Open field was highlighted by former R48 Elite 8 member and 2015 R48 finalist Andy Nett, R48 #25 Ryan Pesch, former R48 pro Michael Gaulton, former junior national champion Luis Bustos, and a number of talented collegiate players from Minnesota State University. Andy Nett proved that he is still the player to beat in the North Star State, dominating his four opponents en route to the state title. Nett overwhelmed R48 #25 and frequent sparring partner Ryan Pesch in the final, never allowing “De Pesche Mode” into his comfort zone. 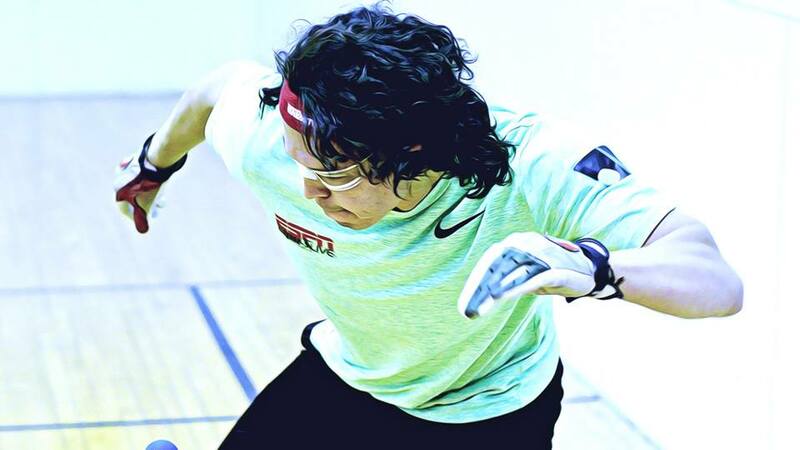 “Andy was playing well and typically has Ryan’s number,” stated Minnesota State head handball coach Dr. Michael Wells.